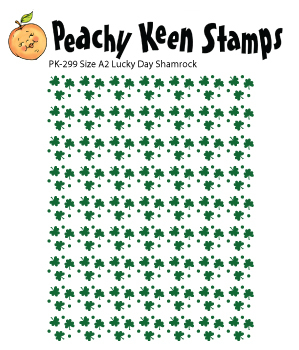 The ThINKin' Spot: A New Peachy Keen Challenge, and NEW STAMPS!!!!! Hello and HAPPY FRIDAY!!!! I have so many wonderful things to share with you today, and first up is that we have a new Peachy Keen Challenge today. This time we have an inspiration challenge to follow, and it has indeed inspired some amazing creations already. Just head over to The Peachy Keen Challenge Blog to see what our designers have come up with and to find out all the details about what you need to do to play along. There are prizes, and awards for the "Top Peach" and honorable mentions. Here is the card I came up with using the adorable and totally wonderful PK-295 Cupid's Sting stamp set. I smile every time I look at this sweet image, and that sentiment absolutely cracks me up! It was so much fun choosing paper and embellishments to go with this set as well as the inspiration photo. I'm happy with the way this one turned out, and I hope you like it, too! For this card, I chose to start with an embossed background using the Vintage Wallpaper embossing folder from Stampin' Up!. 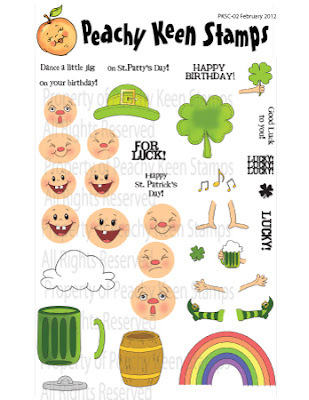 The designer paper is from one of Stampin' Up's retired collections. The image was stamped with Memento Tuxedo Black ink and was colored with Copic markers. Stickles provided just the right amount of sparkle for the wings, and I added some additional bling with the pearl flourishes and Prima flowers. If you haven't picked up your own Cupid's Sting stamps set, then what on earth are you waitng for? It is a MUST have in my book!!! I don't know if you've heard about it yet, but Peachy Keen Stamps has a couple of new clubs that are just getting started. The new Stamp of the Month program, as well as the Peachy Picks Club. The Stamp of the Month club includes an exclusive and perfectly coordinated stamp set that will have you looking forward to peachy happy mail on a regular monthly schedule, and the Peachy Picks Club contents are hand chosen and include enough paper in each kit to make at least 18 A2 cards, embellishments that coordinate with the papers and at least 3 yards of coordinating trim. Each new club is available as a 6 month subscription, and you can find ALL the details about both on the Peachy Keen Stamps website. Just click on the picture below, or the Peachy Keen Clubs link on the home page for all the info you need to get started. I can tell you from experience that BOTH are completely awesome!! Here is what February's Kit looks like, and I LOVE IT!!! Here is a look at the NEW Stamps that were just released! This is the February Stamp of the Month Club set. 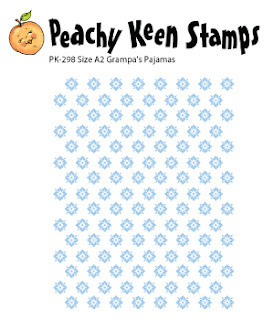 A fabulous addition to our background stamps, PK-298 Grandpa's Pajamas (Don't you love that name?) 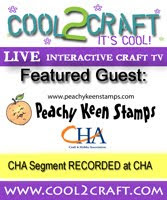 Reminder - Our background stamps are large and will completely cover an A-2 size card, which is totall cool, and makes stamping with them so easy. Whew! What a line up, AND if that wasn't enough, I haven't even touched on the amazing new die release. Available for preorder right now are some of your most favorite Peachy Keen spring images now in die form, complete with adorable faces to stamp right on the die cut! 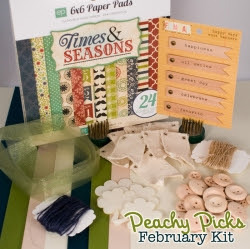 I'm running out of real estate here for posting pictures, but if you hop on over to the Peachy Keen Stamps Store, you can see what images have been chosen for the latest die release, and snag those up for all your Spring cards and scrapbook pages. Thank you so very much for stopping by today! I'm having some happy stamping time with these new stamps, and I wish YOU some happy stamping time, too! Have a beautiful day my stampy friends! I just saw this project over at the PK blog and just wanted to stop on by to tell you how really awesome this card looks! The sentiment got me giggling! Great job! I don't think this card could be any more beautiful Lorie!!! I just adore it - so cute!!! Lorie, I don't like it, I LOVE it!!! You always color everything so beautifully! She's gorgeous! Adorable card and I'm off to check out that kit! Love what you did with that stamp. Very pretty card! I always adore your creations using the wonderful PKS faces. I feel so very inept when I try!! And, I wish I was better so that I could buy, and use, what sounds like such fun kits!! Your card is put together wonderfully! The colors are perfect for the season and I love, live love the flowers!! Wow! 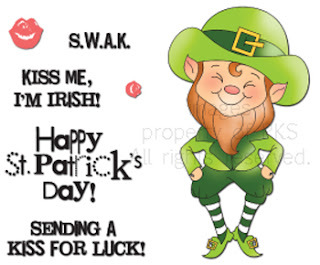 Lorie, your cards are always amazingly beautiful and creative and this one is fantastic! Love that darling image (so beautifully colored as usual) and all the scrumptious details that make this a stand-out card! You sure are being an enabler by showing all these delightful Peachy Keen images...So cute! This is so beautiful!! I love the vintage feeling!! Your coloring is so beautiful!! TFS!! Take Care! !